Ah, Splinter Cell. 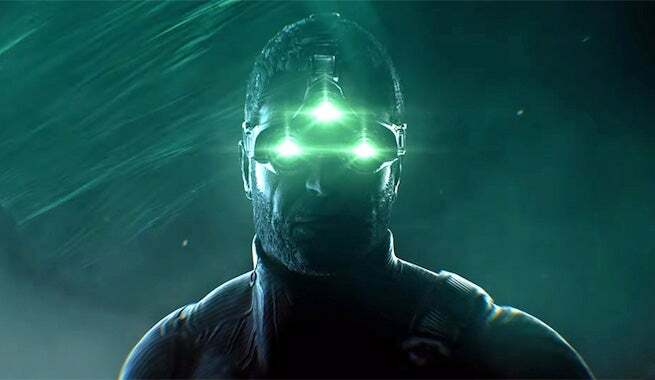 Over the last year, leaks and teases by Ubisoft have made the announcement of a new Splinter Cell appear imminent. Yet here we are, and there's been no word of a return of Sam Fisher. But maybe that's about to change. Today, founder, host, and producer of The Game Awards, Geoff Keighley, released a brand-new teaser/hype trailer for the aforementioned show, which is poised to take place this Thursday. Now, Keighley makes a note that the trailer isn't meant to tease anything, just celebrate how much the industry means to him, as well serve as a general hype inducer for the show. The trailer notably features footage of a variety of recently released games, such as: God of War, Marvel's Spider-Man, Detroit: Become Human, and Red Dead Redemption 2. It also features a slab of upcoming games, such as: The Last of Us Part II, Beyond Good and Evil 2, Anthem, Death Stranding, Gears 5, and Super Smash Bros. Ultimate. And then there's a Splinter Cell, which doesn't really fit into either category, at all. Now, it's worth pointing out that the footage of Sam Fisher is pulled from a teaser trailer released earlier this year by Ubisoft for the character coming to Tom Clancy's Ghost Recon Wildands, which he did. However, if Keighley wanted to feature some Tom Clancy's Ghost Recon Widlands footage in the trailer, why wouldn't he just use footage that clearly looks like Ghost Recon Widlands rather than a Splinter Cell tease? Further, Tom Clancy's Ghost Recon Wildlands came out almost two years ago. It seems like an odd game to include at all. I reckon Keighley knows exactly what he's doing by including that very specific Splinter Cell tease. Now, whether this is just clever marketing/ hype building or an actual tease that Ubisoft will reveal the game at the show. Who knows. I suppose it really could mean nothing, but it definitely sticks out, and is certainly a very odd inclusion if it's not meant to be a tease.